Poster recruiting student nurses to aid in the war effort. Depicts a young woman, in a nurse's uniform, with her right hand raised to her heart. Behind her in silhouette are soldiers holding up their rifles with bayonets. 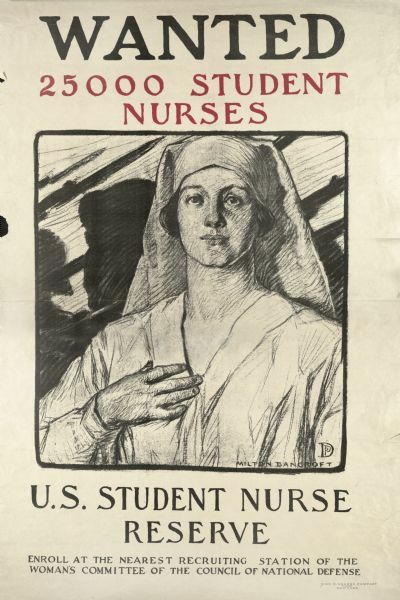 Text at bottom reads: "U.S. Student Nurse Reserve. Enroll at the nearest recruiting station of the Woman's Committee of the Council of National Defense."